Transdifferentiation of pancreatic exocrine cells into insulin-producing beta cells may represent an important alternative to islets required for diabetes cell therapy. Rat pancreatic acinar cells are known to transdifferentiate into functional beta cells, with recapitulation of several pancreas developmental features. Considering the inhibitory functions of hedgehog signalling in early and mid-stage pancreatic development, we questioned whether it also operates in transdifferentiating acinar cells and whether its modulation would influence postnatal beta cell neogenesis in vitro. Rat exocrine cells were precultured in suspension for 4 days and then incubated with EGF and leukaemia inhibitory factor (LIF) for 72 h. The hedgehog signalling pathway was modulated during this, and its effects analysed by RT-PCR, immunocytochemistry and western blot. Our data indicate induction of Dhh and Ihh, but not Shh, expression during acinar cell culture, resulting in activation of hedgehog targets (Ptc1, Gli1). Exposure of the metaplastic cells to EGF and LIF induced beta cell differentiation without affecting endogenous hedgehog activity. Whereas blocking endogenous hedgehog only slightly increased beta cell neogenesis, exposure to embryoid body-conditioned medium activated hedgehog signalling as well as other pathways such as Notch, resulting in severe blockade of beta cell neogenesis. Interestingly, this effect was partially rescued by treatment with the hedgehog inhibitor, 3-keto-N-(aminoethyl-aminocaproyl-dihydrocinnamoyl)-cyclopamine (KAAD-cyclopamine), alone. We report here Dhh/Ihh-dependent activation of hedgehog targets during pancreatic exocrine cell metaplasia in vitro and a persistent inhibitory function of hedgehog signalling in a model of postnatal beta cell differentiation. J. K. Mfopou and L. Baeyens contributed equally to this study. The online version of this article (doi: 10.1007/s00125-011-2434-8) contains peer-reviewed but unedited supplementary material, which is available to authorised users. Alternative beta cell sources are currently being sought to overcome the donor shortage in diabetes cell therapy. To this end, transdifferentiation of pancreatic acinar cells into beta cells is worth investigating, as they make up more than 95% of the pancreatic mass. Pancreatic acinar cells rapidly undergo duct-like transformation in vitro, which is referred to as acinar-to-ductal metaplasia [1, 2, 3, 4], or dedifferentiation to an embryonic-like state . We initially showed that these metaplastic/dedifferentiated cells from rat pancreatic acini transdifferentiate into functional beta cells upon treatment with EGF and leukaemia inhibitory factor (LIF). During this transdifferentiation, transcription factors that govern beta cell differentiation are suitably activated, suggesting recapitulation of the normal developmental process [6, 7]. The similarity of this model to embryonic pancreas development was further demonstrated by Notch pathway antagonism, which resulted in neurogenin 3 (NGN3) upregulation and a threefold increase in the proportion of beta cells generated . Therefore exocrine cells may be a valuable alternative source of transplantable beta cells, provided that these findings are reproduced with human acinar cells. Indeed, human acinar cells also undergo acinar-to-ductal metaplasia in vitro , but their conversion into beta cells remains to be demonstrated. Hedgehog signals are involved in many embryonic patterning events and are mediated by three ligands (sonic [SHH], Indian [IHH], desert [DHH]) which signal via the receptor, patched 1 (PTC1), and induce the ultimate target, glioma-associated oncogene homologue 1 (GLI1). In the embryo, the homeodomain transcription factor pancreatic and duodenal homeobox 1 (PDX1) is required for pancreas development and is broadly expressed in the posterior foregut. However, because hedgehog signalling is inhibitory to pancreas development and Pdx1 expression, only a restricted foregut region devoid of endodermal SHH actually gives rise to the pancreas. Several studies have indicated that the hedgehog inhibitor, cyclopamine, antibodies to SHH, or notochord-derived factors expand the pancreatic domain to a larger portion of the PDX1-positive foregut endoderm [10, 11, 12]. Disruption of Shh and Ihh in mice resulted in a large reduction in body mass, whereas pancreatic mass and endocrine cell numbers remained similar to those of wild-type animals. This translates to increased relative pancreatic mass and increased relative endocrine mass, associated with several alterations in gastrointestinal organogenesis [13, 14]. Concordant with these observations, overexpression of Shh in the prospective pancreatic epithelium resulted in impaired pancreatic and enhanced intestinal development . Hedgehog misexpression under the Pax4 promoter, which is active at the mid-stage of pancreas development, also disrupted organ morphogenesis and differentiation . This indicates a negative effect of SHH, which should be excluded from the presumptive pancreas region to allow its development, as well as a deleterious effect on mid-stage pancreatic differentiation. However, additional observations suggested the requirement of a more subtle control of hedgehog signalling level for pancreas development and function. Indeed, IHH has been detected in E13.5 pancreas and adult islets, and Ptc1-mutant mice show reduced beta cell mass, reduced pancreatic gene expression, and impaired glucose tolerance [13, 17, 18, 19, 20, 21]. Similarly, disruption of epithelial hedgehog signalling (Smo-deficient mouse) delays pancreas morphogenesis and alters adult beta cell function, whereas exocrine pancreas regeneration was recently reported to depend on hedgehog signalling [22, 23]. Although a recent study showed dedifferentiation of beta cells upon misexpression of the hedgehog effector Gli2 , it remains unclear whether this pathway controls postnatal beta cell differentiation and neogenesis, especially in the adult pancreas. Considering the inhibitory effects of hedgehog signals on early and mid-stage embryonic pancreas development [10, 16, 17], we questioned whether this pathway operates during in vitro transdifferentiation of acinar cells, and whether its modulation could influence the extent of beta cell neogenesis from isolated rat pancreas exocrine cells. To this end, we made use of the well-established alkaloid, 3-keto-N-(aminoethyl-aminocaproyl-dihydrocinnamoyl)-cyclopamine (KAAD-cyclopamine), to inhibit hedgehog signalling. To activate the pathway, we used conditioned medium from embryoid bodies, which was previously shown to inhibit ex vivo differentiation of mouse embryonic pancreas in a hedgehog-dependent manner [25, 26]. Acinar cells were isolated from Wistar rats (10–12 weeks old; Janvier, Le Genest-St-Isle, France) as previously described [2, 27]. They were cultured in suspension in RPMI 1640 medium (Invitrogen, Carlsbad, CA, USA) supplemented with 10% FBS (PAA Laboratories, Pasching, Austria) and antibiotics (penicillin and streptomycin; Sigma-Aldrich, St Louis, MO, USA) for up to 7 days. For beta cell differentiation, suspension cultures were halted after 4 days, and the metaplastic duct-like cells were depleted of contaminating insulin-producing cells by treatment with 10 mmol/l alloxan (Sigma-Aldrich) for 10 min, then seeded on to collagen-coated tissue culture plates in the presence of EGF (40 ng/ml; Sigma) and LIF (100 ng/ml; Sigma) for 3 days. Cells were analysed on day 7 for the expression of exocrine and endocrine markers using immunocytochemistry and quantitative (q)RT-PCR (Fig. 1). In other experiments, naïve metaplastic cells or those transduced with short hairpin RNAs against Notch1 (shNOTCH1) were exposed to EGF + LIF in dilutions of conditioned medium from differentiating mouse embryonic stem cells or in RPMI medium supplemented with recombinant SHH (500 ng/ml; RnD Systems, Minneapolis, MN, USA). Mouse embryonic stem cells (E14 from 129Ola mice) were maintained undifferentiated on mitomycin C-inactivated mouse embryonic fibroblasts in knockout DMEM (Invitrogen) supplemented with 10 ng/ml LIF as previously described [25, 26]. Differentiation was initiated in suspension by embryoid body formation in DMEM supplemented with 10% FBS and antibiotics. On days 4 and 8, fresh DMEM with 2% FBS was fed to embryoid bodies and harvested on days 8 and 12, respectively. This embryoid body-conditioned medium (EBCM) was filtered, assessed for SHH concentration by ELISA , and stored at −20°C. It was used for metaplastic cell cultures as such or after supplementation with EGF and LIF. Expression of hedgehog components as well as acinar, ductal and beta cell markers was assessed by qRT-PCR on culture days 1, 2, 4 and 7. For this purpose, total RNA was isolated from different samples using the GenElute Mammalian Total RNA Kit (Sigma), and 500 ng was used in RT. Real time PCR was carried out with a cDNA pool corresponding to 25 ng RNA equivalent using SYBR GreenER reagent (Invitrogen) as previously described . Similarly, production of hedgehog targets and alkaline phosphatase was assessed in C3H10T1/2 cells treated with EBCM and compared with the control cells treated with 2% FBS. Primers were designed to provide specific intron-spanning amplicons whenever possible, and the melting profiles were recorded in all amplification runs. The complete list of primers used is available as electronic supplementary material (ESM) Table 1. Data were normalised to Cyclophylin A or Gapdh as endogenous control and to a reference (control day 1, control day 7, or 2% FBS control) as applicable. Freshly isolated acini and cell clusters obtained by suspension culture were washed twice in Dulbecco’s PBS, fixed in 4% formaldehyde, and cell pellets processed for paraffin embedding and sectioning. Cells cultured on adherent plates were fixed and stained in situ. We used antibodies against amylase (polyclonal, 1/1,000 dilution; Sigma), insulin (polyclonal, 1/3,000 dilution; C. van Schravendijk, Vrije Universiteit Brussel, Belgium), keratin 20 (KRT20; monoclonal, 1/20 dilution; Novocastra, Newcastle upon Tyne, UK), IHH (polyclonal, 1/200 dilution; Santa Cruz Biotechnology, Santa Cruz, CA, USA), Gli1 (polyclonal, 1/200 dilution; Santa Cruz Biotechnology) or PDX1 (polyclonal, 1/1,000 dilution; Beta Cell Biology Consortium, Nashville, TN, USA) [25, 28]. Immunofluorescence micrographs were acquired using an inverted TE2000 fluorescence microscope (Nikon, Tokyo, Japan) and the NIS-Elements 3.1 imaging software. Data (mean ± SEM) from at least three independent experiments are presented. Differences between conditions were tested for significance (p < 0.05) using the unpaired Student’s t test, Mann–Whitney U test or one-way ANOVA (with Bonferroni’s or Dunnett’s post tests) wherever applicable. Additional methods (alkaline phosphatase assays and western blot analysis) are available in the ESM Methods and results. Rat pancreatic acini underwent rapid ductal metaplasia in suspension culture (Fig. 1) denoted by the formation of compact cell clusters, progressive upregulation of Pdx1 from days 2 to 7, induction of Krt20 from days 2 to 4, and severe downregulation of the exocrine markers, Ptf1a, Mist1 and amylase to undetectable levels by day 4 (Fig. 2a–d; data not shown). Whereas KRT20 protein was detected only in centroacinar cells at the initiation of culture (Fig. 2e), more than 90% of metaplastic cells were positive for this duct cell marker on day 5 (Fig. 2f), indicating that a nearly homogeneous cell population was obtained. Despite the persistent detection of KRT20 until day 10, its transcript levels sharply decreased beyond day 4, but remained higher than on day 1 (Fig. 2b,f; data not shown). We assessed the expression of major hedgehog pathway components during this process. No transcripts for Shh could be detected in fresh (day 1) and differentiated cells, whereas significant upregulation of Ihh, Dhh, Gli1 and Hhip expression was recorded with prolonged time in culture (Fig. 3a–c; ESM Fig. 1a). As for Krt20, expression of Ihh on day 7 was much lower than on day 4, but still significantly increased versus control day 1. We found a non-significant increase in the expression of the receptor, Ptc1 (ESM Fig. 1b). Production of IHH was further confirmed by western blot and immunoreactivity on day 5 aggregates; both techniques identified the peptide in the metaplastic cells but not in the freshly isolated cells nor within pancreatic acinar cells (Fig. 3e–g). These data indicate that hedgehog signalling is induced during suspension culture of acinar cells, and is dependent on Dhh and Ihh but not Shh. Isolated acinar cell preparations always show a small fraction (<1%) of contaminating beta cells that persist in the culture and would contribute to the observed profiles of PDX1 and insulin (Fig. 3d,h; ESM Fig. 1c). It is also known that beta cells produce the membrane proteins, SMO and PTC1, and the ligands, IHH (ESM Fig. 1d,e) and DHH, suggesting that contaminating beta cells could also generate the observed hedgehog component profile. To assess these possibilities, we treated acinar cell preparations with the beta cell toxin, alloxan, which resulted in the loss of Ins and Hhip expression (ESM Fig. 1a,c) and up to 50% decrease in Pdx1 (days 2, 4, 7) and Ihh (days 2 and 4 only) transcripts (Fig. 3a,d). In contrast with Pdx1 and Ihh, expression of Dhh was not affected by alloxan. The expression patterns of Dhh and Ihh were therefore concordant with the persistent Gli1 activation, which was only marginally reduced after beta cell depletion (Fig. 3a–c). These findings indicate that in vitro acinar-to-duct metaplasia involves induction of Dhh and Ihh expression in exocrine cells, resulting in increased hedgehog activity. We questioned whether activated hedgehog signalling could be the cause or the consequence of acinar cell metaplasia, and whether it might limit their further conversion into pancreatic endocrine cells. We therefore supplemented the cultures with the alkaloid KAAD-cyclopamine in order to antagonise hedgehog signalling, which resulted in a significant and dose-dependent blockade of Gli1 expression on days 4 and 7 (Fig. 4a). 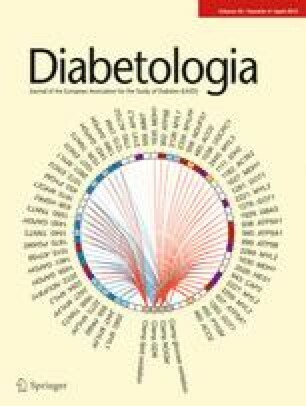 Despite the potent downregulation of Gli1 expression confirming inhibition of the pathway, we observed no major effects on the expression profile of pancreatic markers Pdx1, Ins, Amy and Ptf1a; however, the duct cell marker Krt20 was negatively affected by hedgehog inhibition on day 4 but not on day 7 (Fig. 4b–e; data not shown). This indicates that inhibition of hedgehog signalling affects the initial steps of ductal metaplasia from acinar cells cultured in suspension, whereas the loss of acinar characteristics is not affected. To activate the pathway, we made use of EBCM previously shown to contain biologically active SHH ligands at about 200 pg/ml. We first confirmed activation of the hedgehog pathway by EBCM in the murine mesenchymal cell line C3H10T1/2 (ESM Methods and results). These cells normally induce alkaline phosphatase (Akp2) expression upon stimulation of the hedgehog pathway or upon treatment with small molecules such as retinoic acid and lithium chloride. Indeed, culture in EBCM dose-dependently induced Gli1 and Ptc1 expression in C3H10T1/2 cells (ESM Fig. 2a–c). This was followed by a dose-dependent increase in Akp2 expression and function detected by qRT-PCR and alkaline phosphatase assays respectively, which confirmed that EBCM contained functional hedgehog ligands (ESM Fig. 2d–f). When cultured in EBCM, acinar cells showed a transient burst in Gli1 transcripts (about 10-fold higher than control) on day 4, and the nuclear translocation of the protein was mainly detected in treated cells (Fig. 4b,f–i). As for the inactivation experiments, this stimulation of the hedgehog pathway also did not significantly affect pancreatic marker expression (Pdx1, Ptf1a, Amy), although lower levels of Krt20 and insulin transcripts were recorded on day 7 (Fig. 4c–e, data not shown). Taking the findings together, hedgehog pathway modulation does not significantly influence the process of acinar-to-ductal metaplasia. It is therefore likely that hedgehog activation is a consequence of the ongoing metaplastic transformation in our model, rather than an instructive signal. To study the possible postnatal effect of hedgehog signalling on beta cell differentiation, we made use of the rat beta cell neogenesis model initially developed in our laboratory. When exposed to EGF and LIF in vitro, alloxan-treated rat metaplastic duct-like cells differentiate into functional beta cells, representing 10% of total cells. In view of its deleterious effects on the developing embryonic pancreas, we used EBCM to assess the effects of hedgehog stimulation on postnatal beta cell neogenesis. In preliminary experiments, we noticed that metaplastic duct-like cells maintained in EBCM in the presence of EGF + LIF could not generate the 10% beta cells normally observed in control medium (ESM Fig. 3). We further evaluated this observation by culturing cells in various EBCM dilutions instead of RPMI 1640. Cell number estimation (KRT20+ and total cell counts on day 7) indicated that exposure to EBCM did not significantly affect the acinar-to-ductal transdifferentiation process or cell survival (Fig. 5a). However, we found a significant and dose-dependent reduction in the percentage of insulin-positive cells present on day 7, whereas the percentage of KRT20+ cells was slightly increased (Fig. 5b,d–g). This suggests that EBCM blocked the conversion of KRT20+ cells into insulin-positive cells. Furthermore, the cells treated with non-diluted EBCM formed very compact KRT20+ cell clusters (Fig. 5g). The immunofluorescence findings were partially confirmed by qRT-PCR, indicating a large reduction in Pdx1 and Ins2 expression in 100% EBCM-treated cells and upregulation of Krt20 expression (Fig. 6a–e; ESM Fig. 3c,d). In addition, the ultimate hedgehog target, Gli1, was highly expressed in these conditions compared with non-treated controls (Fig. 6c, ESM Fig. 4b). These data suggest that hedgehog pathway activation blocked the EGF + LIF-induced beta cell differentiation from metaplastic KRT20+ cells. Therefore the negative effect of hedgehog signalling on embryonic pancreas differentiation may also act on postnatal beta cell differentiation. To further demonstrate the involvement of hedgehog signalling, we blocked this pathway in EBCM-treated cultures. Supplementation with KAAD-cyclopamine (250 nmol/l) partially rescued beta cell differentiation in 10% and 25% EBCM, but just marginally increased the percentage of insulin-positive cells in standard cultures (absence of EBCM). Interestingly, in 10% EBCM supplemented with KAAD-cyclopamine, the percentage of insulin-positive cells increased and became comparable to that of EGF + LIF-treated cultures (Fig. 5c). Gene expression analysis showed downregulation of Gli1 upon KAAD-cyclopamine treatment to levels lower than in standard cultures, but this was not associated with a parallel increase in Pdx1 and Ins2 transcripts, a profile that may be compatible with the partial rescue of insulin-positive cells (Fig. 6a–c). Taken together, these data suggest that exposure of metaplastic duct-like cells to EGF + LIF in the presence of hedgehog ligands (in EBCM) significantly impairs beta cell neogenesis, which is partially rescued upon antagonising the pathway with KAAD-cyclopamine. Because treatment with KAAD-cyclopamine in the absence of exogenous hedgehog ligands had only minor effects on beta cell percentage (Fig. 5c), we argue that EGF + LIF treatment may create a repressive microenvironment for hedgehog signalling, or that the effect of EBCM is mainly dependent on SHH, but not on IHH or DHH. In view of the limited effects of KAAD-cyclopamine in antagonising the inhibitory function of EBCM, we speculated that additional pathways may also contribute to the severe blockade of beta cell differentiation that we observed. We have already shown in our previous studies that EBCM induced the nuclear translocation of ß-catenin in dispersed mouse embryo (E12.5) liver cells cultured for 7 days, suggesting activation of the Wnt signalling pathway. Furthermore, we recently reported the activation of genes belonging to the Notch pathway during in vitro culture of rat pancreatic acinar cells, and the improvement in beta cell neogenesis in the EGF + LIF model after Notch antagonism. Here, we explored the activation of Notch signalling, which is known to control pancreatic endocrine differentiation. These data are presented in ESM Methods and results. While undergoing acinar-to-ductal metaplasia in vitro, rat pancreas exocrine cells express Dhh and Ihh, but not Shh, and activate the ultimate hedgehog target gene, Gli1. Using the alloxan depletion experiments, we indirectly confirmed the previously described expression of Ihh by beta cells [13, 21, 29], which allowed us to ascribe residual Gli1 activation to the ongoing acinar-to-ductal metaplasia. A similar expression of Ihh and activation of Gli1 has already been reported in mice after exocrine pancreas injury by caerulein injection , but to our knowledge this study is the first to show the same process during in vitro culture of rat acinar cells. In our culture model, blockade (KAAD-cyclopamine) or stimulation (EBCM) of hedgehog signalling during acinar-to-ductal metaplasia appeared not to affect acinar cell dedifferentiation. This observation parallels those of Fendrich et al., who failed to block the ductal transformation of acinar cells in vivo by concomitant injection of caerulein and cyclopamine . It therefore suggests that hedgehog activation is a consequence, rather than the cause, of acinar-to-ductal metaplasia. In addition, we assume that inhibition of hedgehog signalling during spontaneous acinar-to-ductal metaplasia (without EGF + LIF) did not result in endocrine differentiation because this culture condition is basically not a neogenesis model, and because hedgehog inhibits pancreas development in a permissive manner . Hedgehog activation has been observed in early stages of pancreatic neoplasia, but, in contrast with in vitro acinar-to-ductal metaplasia, it usually also involves Shh expression [30, 31, 32]. A recent observation in mouse caerulein-induced pancreatitis implicated hedgehog signalling in exocrine regeneration, but failed to show any contribution of the metaplastic cells to endocrine and ductal compartments [23, 33]. It is not excluded that the absence of endocrine differentiation in the caerulein model may be related to a negative effect of the activated hedgehog signalling. In the normal adult pancreas, IHH is localised within the islet and is thought to regulate Pdx1 and Ins expression [13, 20, 21]; however, beta cell-specific misexpression of the hedgehog mediator, Gli2, results in dedifferentiation and tumour formation . Apart from these implications of hedgehog in adult beta cell function, exocrine regeneration and pancreatic neoplasia, it is currently not certain whether hedgehog signalling regulates postnatal beta cell differentiation, neogenesis or regeneration. In order to demonstrate a potential effect of hedgehog on postnatal beta cell neogenesis, we combined the features of two differentiation models initially developed in our laboratory using adult rat pancreas exocrine cells and mouse embryonic stem cells [6, 7, 8, 25, 26]. For this purpose, metaplastic duct cells were cultured in EBCM, which efficiently activated Gli1 expression and denoted a striking dose-dependent loss of insulin-producing cells normally generated by EGF + LIF. These observations indicate that, besides the previously described positive role for hedgehog signalling in adult beta cell function [17, 20, 21], one should also consider a negative role with respect to beta cell differentiation in the postnatal period, a condition that further supports the versatility of this pathway in the pancreas. To this end, the inhibitory effect of hedgehog signalling on postnatal beta cell neogenesis parallels that described in early and mid stages of pancreas development. It is noteworthy that, as previously suggested from the study of Ihh- and Shh-mutant mice , the DHH-/IHH-dependent hedgehog activation observed here during acinar-to-ductal metaplasia may only partially restrict beta cell differentiation in the neogenesis model, whereas the SHH-dependent hedgehog activation (as induced by EBCM) is more potent . This may explain the limited positive effect of hedgehog antagonism on beta cell counts in the original model (EGF + LIF condition), where IHH and DHH, but not SHH, are involved. Thus we believe that our observations with regard to strong inhibition of beta cell neogenesis are mainly dependent on the use of natural SHH peptide (post-translationally modified) in the conditioned medium. This natural SHH is known to be at least 164-fold more potent than its recombinant counterpart or than the homologues, IHH and DHH [25, 34]. In this context, pharmacological inhibition of hedgehog signalling (confirmed by decreased Gli1 expression) resulted in improved differentiation of beta cells in the presence of EBCM (10%, 25% and 50% dilutions). Additional data pointed towards concomitant involvement of Notch activation in this limited rescue of beta cell differentiation. This pathway has already been shown to regulate beta cell neogenesis from metaplastic duct cells in vitro . Induction of Notch components has been described in acinar-to-ductal metaplasia, but it is not excluded that SHH in the EBCM potentiated the endogenous Notch signalling, given the interaction demonstrated between these pathways in other systems [8, 35, 36, 37] and the fact that KAAD-cyclopamine limited the EBCM-induced Notch activation. Whereas PCR analysis showed loss of Pdx1 and Ins2 expression in 100% EBCM, the resurgence of their transcripts in 25% EBCM with or without cyclopamine did not strictly parallel the differences in absolute numbers of beta cells counted per well. Despite the threefold lower amount of beta cells in 25% EBCM with or without cyclopamine, Pdx1 and Ins2 transcripts were comparable to those of the EGF + LIF condition. Although this was not further investigated, we believe that the discrepancy may, at least in part, be attributed to the high glucose concentration in EBCM (DMEM, 4.5 g/l) compared with the EGF + LIF condition (RPMI medium, 2 g/l), which might stimulate transcription of these beta cell genes . In addition, peptides that influence insulin secretion and biosynthesis, such as incretins, may be present in the EBCM and may support this observation [26, 39, 40, 41]. The complex composition of the EBCM used here for hedgehog activation and the possible interactions or crosstalk between several pathways are the major downsides of this study. Nevertheless, we were able to show that modulation of hedgehog signalling alone had detectable influences on beta cell numbers, thereby strongly supporting its involvement in postnatal beta cell differentiation. The advantage of the EBCM is that it gives efficient hedgehog activation, considering the low potency of recombinant SHH . It would be interesting to study hedgehog effects on postnatal beta cell differentiation in transgenic mice for a further interrogation of the process described here. Unfortunately, such studies cannot yet be performed with the current EGF + LIF model, as it does not induce beta cell neogenesis in mouse and human exocrine pancreas (unpublished observations). In addition, since beta cell function and phenotype can be modulated by hedgehog levels [20, 21, 24], it will also be worth investigating whether dual hedgehog effects contribute to regulation of beta cell mass in the adult pancreas. In conclusion, our studies indicate the induction of hedgehog activity during acinar-to-ductal metaplasia in vitro and they uncover a previously unappreciated inhibitory function of this pathway in postnatal beta cell neogenesis. These findings would be valuable in the design of differentiation procedures for pancreatic exocrine cells or pluripotent stem cells with a view to setting up alternative beta cell sources for diabetes cell therapy. We thank D. Pipeleers (Diabetes Research Center, Vrije Universiteit Brussel, Belgium) for rat exocrine cell procurement, and I. Rooman and I. Houbracken (Cell Differentiation Unit, Vrije Universiteit Brussel, Belgium) for critical discussions and helpful suggestions. We are also grateful to E. de Blay and M. Baekeland (Cell Differentiation Unit, Vrije Universiteit Brussel, Belgium) for technical assistance. J.K. Mfopou is a postdoctoral research fellow at the Vrije Universiteit Brussel (VUB), and L. Baeyens is a postdoctoral fellow of the Fund for Scientific Research (FWO Vlaanderen). This work was supported by a VUB research grant under the code GOA41-Vrije Universiteit Brussel. JKM was involved in conception and design, analysis and interpretation of data, drafting of the article, and final approval of the version to be published. LBa was involved in conception and design, analysis and interpretation of data, revising of the article, and final approval of the version to be published. LBo was involved in conception and design, interpretation of data, revising of the article, and final approval of the version to be published.